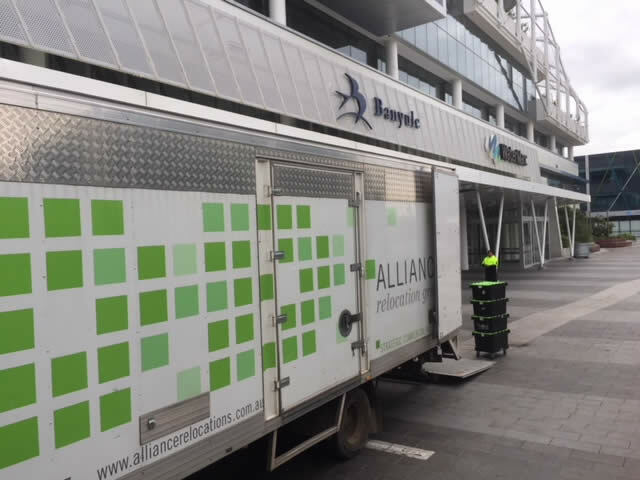 At ALLIANCE, we specialise in providing seamless, secure and stress-free office relocations that ensure minimum disruption to you, the client. In today's competitive and volatile business environment, we meet ever-evolving business priorities - such as security considerations, data protection, uninterrupted IT infrastructure and minimum downtime. With over 25 years experience relocating offices around Australia, we know the capital cities like the back of our hand. Our knowledge of the CBD includes an invaluable understanding of the city's many loading bays, security procedures, and height and parking restrictions, ensuring smooth relocations. For clients who are happy for us to manage all elements of their relocation, we offer a holistic project management service, encompassing all components of an impending move. Our experienced project managers remove the burden of a relocation from your employees, and manage all elements of the move, including: inventory management, permits, insurance, staff communications, logistics, cabling, storage and transport. Most storage facilities are conveniently located on the city fringe allowing speedy access to the CBD. Security is a premium at our premises, which boasts ample storage space, fitted with state of the art sprinkler and security systems. Designed with the customer in mind, all facilities offer a flexible range of storage options to meet your needs and budget, from small self-storage units to extensive Pallet racking. General Storage, Self Storage, Document Storage, Wine Storage, and Pallet Storage. Our specialist knowledge and equipment ensures we can handle the disassembly and reassembly of all office equipment, including workstations and difficult items such as compactus units and large Board-Room Tables. Under the REIV standard lease, businesses vacating an office are required to fully clean a premises and ALLIANCE provides comprehensive cleaning services to meet all vacating conditions of your lease. Our cleaning service will ensure your vacated premises are cleaned immaculately to meet all landlord expectations. Every relocation presents an opportunity for businesses to clean up obsolete files and documents and reduce the need for filing/storage space. In many cases this opportunity is not taken because of concerns about security. ALLIANCE offer a secure offsite shredding service with locked bins used to take obsolete material off-site to a location where they are shredded for recycling. Certificates warrant that each batch has actually been shredded immediately upon arrival at the shredding facility.